Easter is three weeks away. As I sit in my office at Morling College, my eyes are drawn to a photo that I treasure. It is a photo from the launch of my first book, Leading Lawyers Case for the Resurrection, which to my surprise, continues to remain in print and readers tell me how significant it was for them. The two men in the photo launching the book were Clarrie Briese, the former Chief Magistrate of NSW and Sir Lionel Luckhoo who did me the honour of coming from the West Indies for the launch. 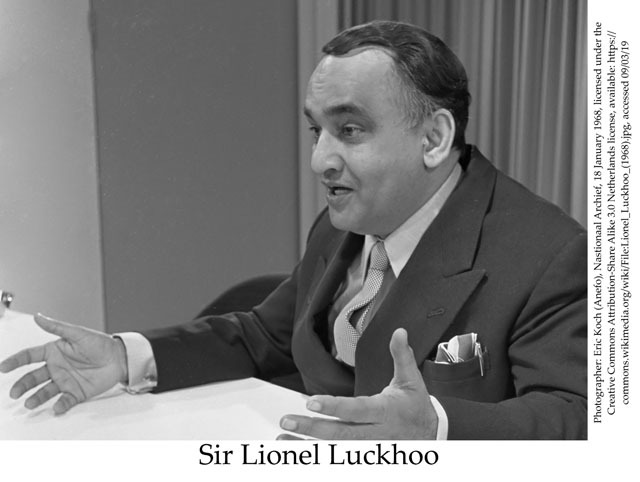 Before he became a Christian at the age of 63, Sir Lionel was a remarkable defence lawyer. He achieved 245 successful murder acquittals. The Guinness Book of Records lists this advocate from Guyana as the world’s ‘most successful’ lawyer. Understandably, most lawyers are speechless when they first hear of Sir Lionel’s legal feats – here is an actual, ‘true life’ Perry Mason! I had no peace. Peace comes from God and belongs to him. I never went to the Prince of peace, to Jesus to seek peace, until one day…I invited Jesus to come into my life as my Lord and Saviour. It was the first time I have ever so invited him. That was it! It was in a hotel! The transformation was immediate. From that day my life changed – I moved from death to life, from darkness to light. I was born again. My life took a 180-degree change. I found real peace and happiness and joy and righteousness and holiness. I have spent more than forty-two years as a defence trial lawyer appearing in many parts of the world and I am still in active practice. I have been fortunate to secure a number of successes in jury trial and I say unequivocally the evidence for the resurrection of Jesus Christ is so overwhelming that it compels acceptance by proof which leaves absolutely no room for doubt. People want to know not only if something is true, but whether it works. What are some of the other privileges that belong to those who acknowledge the risen Jesus Christ as Lord? c) Friendship. Loneliness is a common experience. Hebrews reminds us that God gives us this promise: ‘Never will I [Jesus] leave you; never will I forsake you”. d) Inner Satisfaction. Jesus is alone capable of quenching our inner longing, sense of cosmic orphanhood and search for meaning. e) Beyond the Why. A Christian realises Jesus takes our disappointments and produces good out of evil – a tremendous promise. f) Forgiveness. In Jesus, and the cross – resurrection, there is acceptance and complete forgiveness. g) Certainty. If we truly hand ourselves over to God, he will bring s conviction that Jesus is the answer. h) Servanthood. In Christ we are a servant to others which is a rich experience and is the only authentic way to life. It is lived in the power of the risen Christ! i) Eternal Life. We can be certain of eternal life as Jesus, by his resurrection, showed that there is life beyond the grave. j) Guidance. A Christian has direction in the Bible and it can be trusted. The risen Jesus affirmed the whole Bible (Rev 22). Why have I come to Australia? Well, if Dr Salk had kept quiet about the vaccine he had discovered to help polio suffers, what a tragedy that would have been! And when I have found Jesus to be the answer to the problems we have, both person and national, I must share it with others. 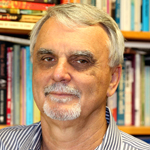 Rev Dr Ross Clifford AM is the Principal of Morling College (NSW Baptist) and author of numerous books many of which focus on Christian Apologetics. He is a Vice President of the Baptist World Alliance, President of the Asian Baptist Association, an acclaimed international preacher and speaker, a columnist in many Christian publications, winner of many national and international awards and for many years the Sunday evening Sydney Radio 2CH host. Ross is married to Bev, father and grand father.